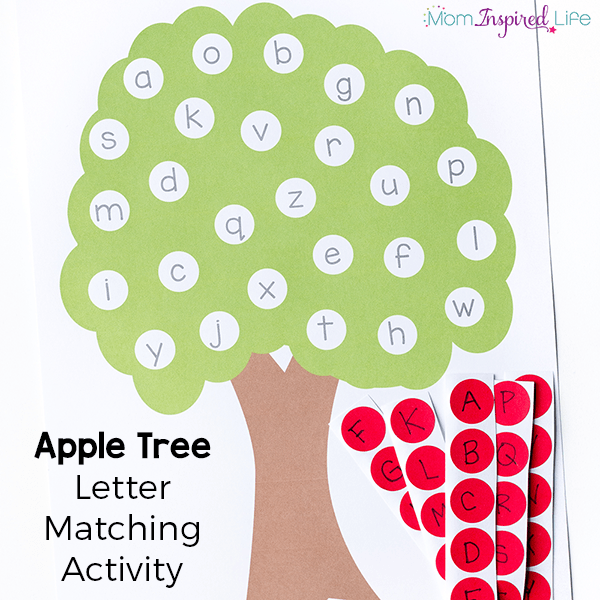 This letter matching apple tree is a fun way for kids to learn letters this fall. 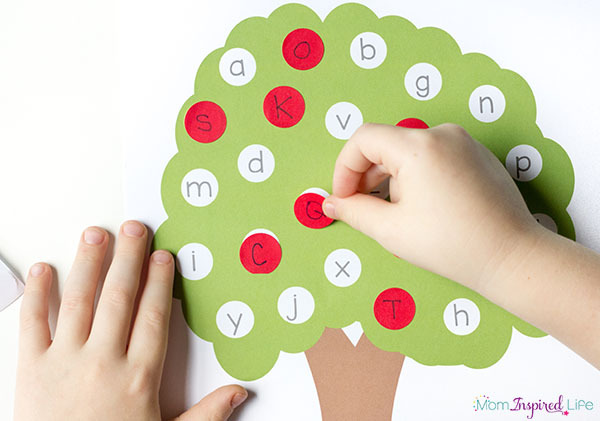 The included printable alphabet tree makes it super easy to set up. 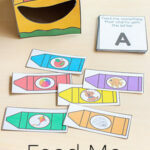 My apple tree letter matching activity from two years ago continues to be one of my most popular posts! However, that post required that you make your own apple tree and write letters all over it. Soon after publishing, I thought it would be a great idea if I made a printable version to make it easier for classroom teachers and those short on time. However, I wasn’t very knowledgeable about making printables at the time and then it kind of just fell by the wayside. 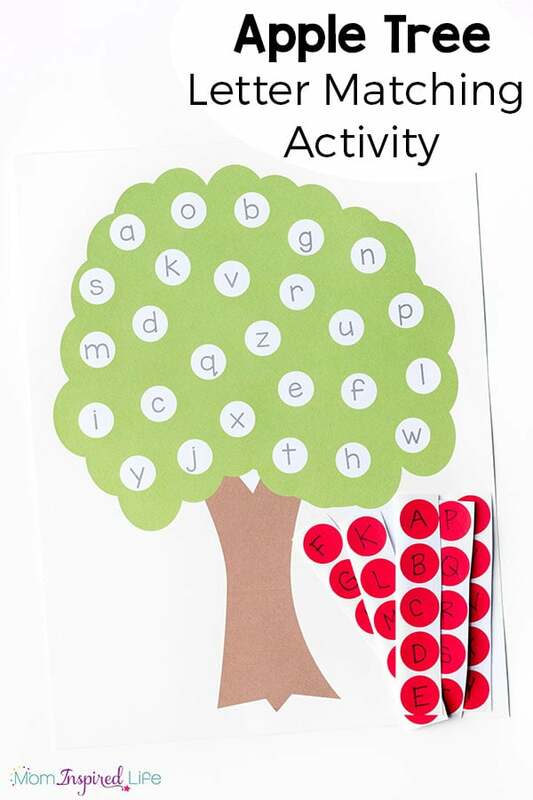 This year I was determined to make a printable alphabet apple tree. The download contains a lowercase apple tree, an uppercase apple tree and a blank tree if you would like to write something else on it. I am super happy with the way they turned! I’m really glad that these will make it so much easier to do the activity with the kids in your life. 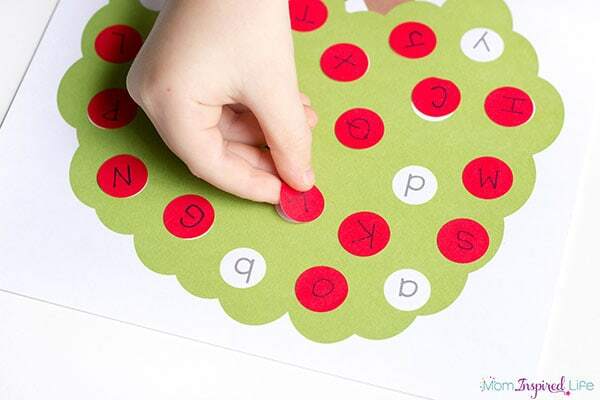 While working on this letter matching apple tree, children will practice letter matching, letter identification while developing fine motor skills needed to peel and place the stickers. 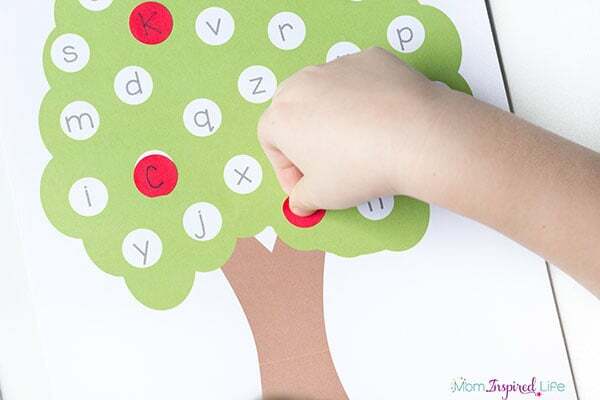 For children who are just beginning to learn to recognize letters, you can have them match uppercase stickers to uppercase letters on the tree or lowercase to lowercase. 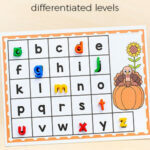 For children who know uppercase and lowercase letters already, you can do uppercase to lowercase letter matching. My son already knows most of the letters and just gets hung up on a few, so he matches uppercase letter stickers to the lowercase letters on the page. 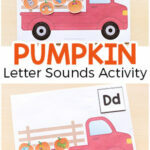 This is a great way to reinforce letter identification and work on those tricky letters he gets tripped up on. I also love that it gives him some extra fine motor practice. Peeling the stickers off the backing exercises small hand muscles and placing them directly on the spots on the tree works hand-eye coordination. It can be a bit of challenge to line the dots up perfectly. On that note, it is not necessary for young children to line them up perfectly. But I did encourage my son to try to do this because he is more advanced and needs that challenge. 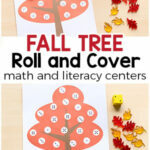 You can even use this with toddlers and just have them try to match the plain dot stickers to the blank tree. My toddler loves doing this! 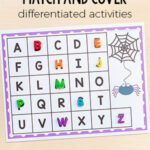 This activity is super simple to set up and requires little prep. Print the version of the apple tree that you would like to use. One has uppercase letters on it and the other has lowercase letters on it. Write a letter on each dot sticker until you have one sticker for each of the 26 letters in the alphabet. 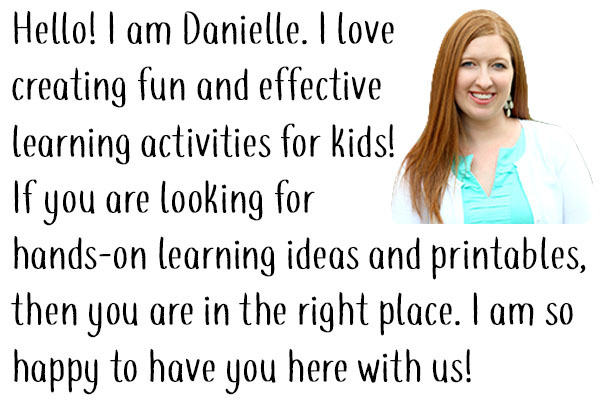 Writing them in uppercase or lowercase will depend on how you are setting up the activity. 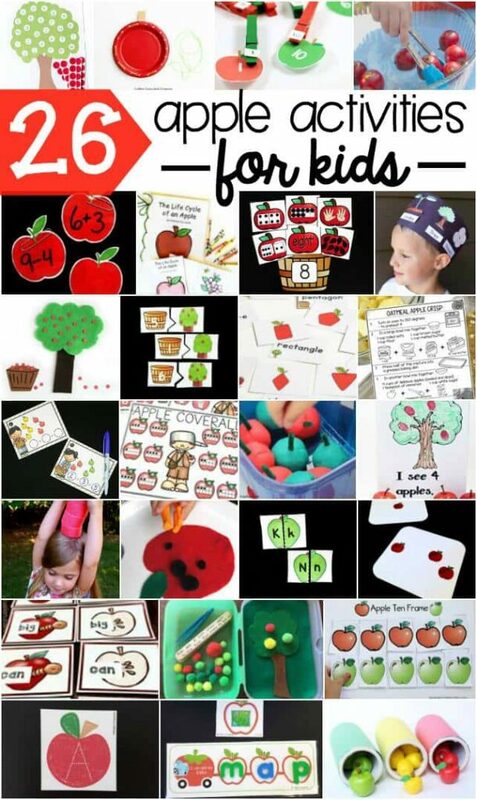 I hope your kids enjoy this fun apple themed alphabet activity! 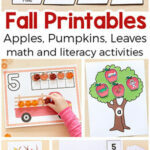 Here are some more fantastic apple activities for kids!